Lewis and the "Uncrowned King of Arabia." 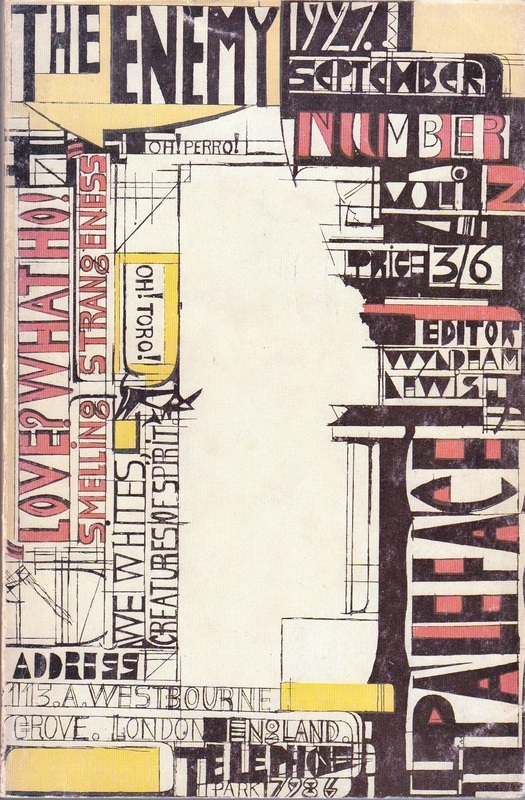 In 1937, Wyndham Lewis published an autobiographical volume Blasting and Bombardiering (1914 - 1926). The title suggests, and I think Lewis intended, that we think this a late entry to the field of memoirs published after the Armistice of 1918, books like Goodbye to All That (Robert Graves, 1929) or The Seven Pillars of Wisdom (T.E. 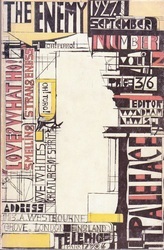 Lawrence, 1925). 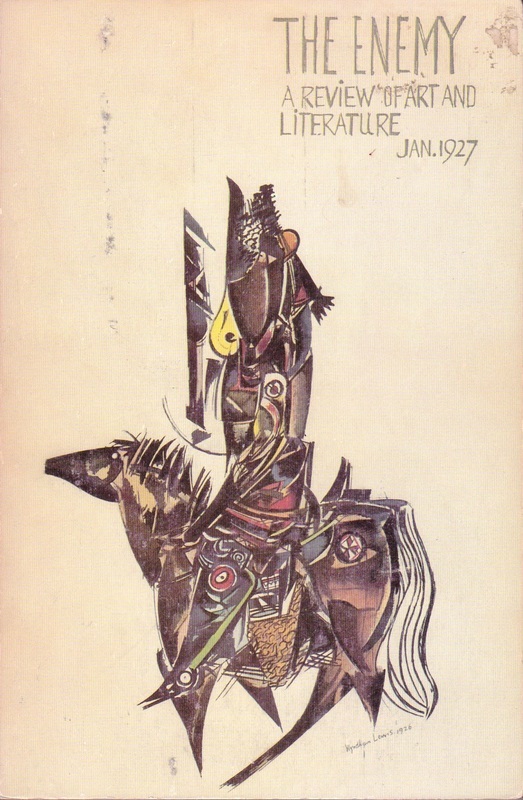 Though a war memoir, it is not entirely a military memoir; Lewis was the fiercest of the modernists, the most provocative of the "Men of 1914" — as Ezra Pound referred to T S Eliot, James Joyce, Wyndham Lewis, and himself. During the dozen years covered in Blasting and Bombardiering, Lewis waged a relentless campaign against the intellectual stagnation he saw in England, and through the English speaking world. He took pride in referring to himself as the Enemy, and fought his battles on two fronts: as a painter and designer, and in the prose of novels and booklength essays. By 1937, the day of his greatest notoriety had passed, but he could not be accused of abandoning the struggle. Eliot would become the most respectable of the Men of 1914 (today many barely recognize his modernism), while Joyce's reputation is secure enough to support annual academic conferences that can easily attract a thousand scholars engaged in the elucidation and explication of his work. Pound's "unpoetic" career is better known than his poetry. Lewis, initially a primary spokesman for the Men of 1914, managed to alienate both Joyce and Pound through his "no prisoners" tactics: Lewis became the "forgotten man of 1914." Indeed, Eliot alone kept on good terms with his fellow Fourteeners: when in London, each would make a point of visiting Mr Eliot. 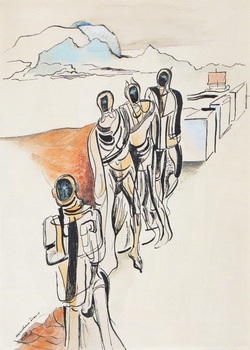 When T E Lawrence was bringing the Seven Pillars to the press, he approached several of the leading portrait artists of the day for illustrations, including Wyndham Lewis. According to Lawrence's biographer, Jeremy Wilson, Lewis was paid ₤50 in advance, but failed to produce anything for the book. Jeffrey Meyers, in his biography of Lewis, declares that Lewis finished the project too late to be included. Either way, Lewis kept the fifty. I confess that I have long dismissed this story as a fine fiction, but no more. 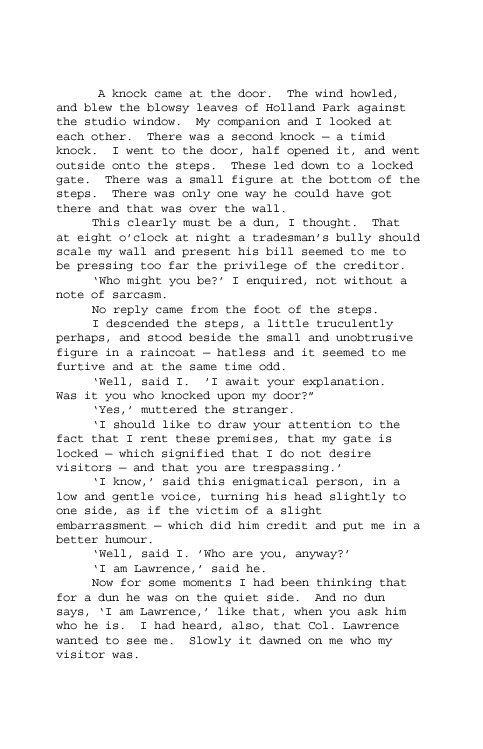 Lewis was not above embellishing an anecdote to make a point: it is part of his charm. However, we learn in Wilson's biography of Lawrence that, as a student of architecture and archaeology, TEL (in order to get a good photograph) would climb buildings to a particular vantage point. He perfected this skill by climbing the buildings at Oxford. 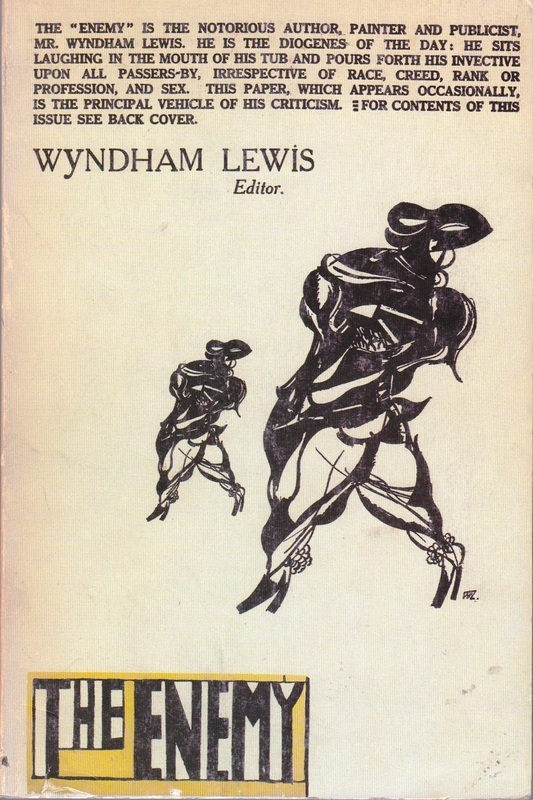 If the substance of Lewis's story is fiction, it is anchored to this fact, and if anyone would or could climb a wall to meet Wyndham Lewis, T.E. Lawrence was the man.